Hello. 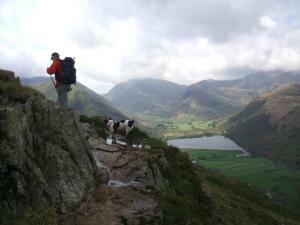 that’s me, Richard, not far from Angle Tarn. It was during my Coast to Coast in May 2009. I did it with a mate David (who took the photo). I also kept a diary, which I thought someone, somewhere might enjoy reading – hence this site. If you find them useful – well brilliant.